Panos Panay opened up on why the Surface Pro 6 and Surface Laptop 2 lack a USB Type-C port while the Surface Studio 2, Surface Go, and even the Surface Headphones have one such port. Panay insisted that USB Type-C will not be at the expense of the traditional USB Type-A port, which still is the connector of choice for most USB devices today. The Type-C connector will eventually make it into future devices but Microsoft is in no hurry to make it happen. Microsoft made a bevy of announcements to its Surface product lineup including the Surface Studio 2, Surface Pro 6, Surface Laptop 2, Surface Go, and the unexpected, but high-end, Cortana-powered Surface Headphones earlier this week. While most of the changes are just internal with minimal cosmetic makeovers, one aspect continues to annoy potential Surface Pro 6 and Surface Laptop 2 buyers — lack of a USB Type-C port for the second consecutive time. 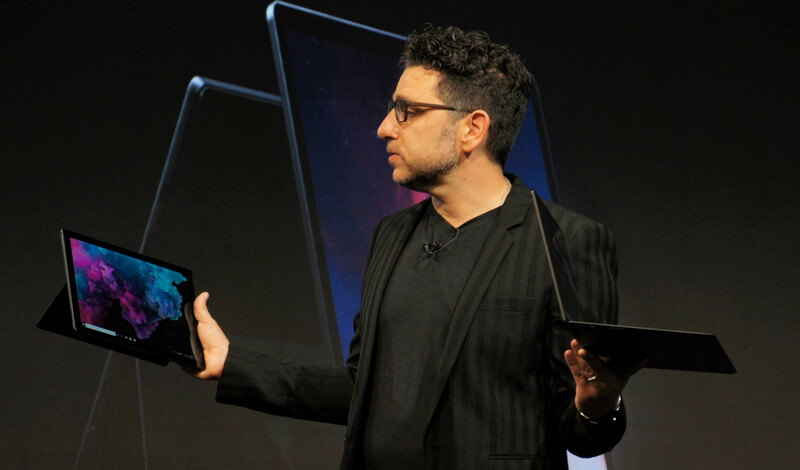 Microsoft Surface Chief Panos Panay clarified to tech blogger Lance Ulanoff the reason for the obvious omission. According to Panay, adding a USB Type-C port meant that the traditional Type-A port would have to be sacrificed, which is something Microsoft is not too keen on doing at the moment. "I'm not taking that away", said Panay pointing at Ulanoff's Surface Pro 5 or rather, the Surface Pro (2017). USB Type-C might eventually make it in a future Surface iteration but Microsoft is not too keen on adding features 'just to check off a feature box'. Because, if we had to redesign the product every year, then obviously, we haven’t made a great product. What would I be chasing?" Panay may have his own justification but from a consumer standpoint, there is little reason not to embrace USB Type-C in late 2018. However, this issue can be looked at from both angles. You need a mini-DP to HDMI/DP/DVI adapter anyways for hooking up an external monitor so might as well use a USB Type-C dongle instead. A USB Type-C dongle can provide DisplayPort connectivity along with a host of other connector options making it more versatile than mini-DP can ever be. Devices such as the Eve V have a USB 3.1 Type-C, a USB Type-C with Thunderbolt 3, and still have room for 2 more USB 3.0 Type-A ports — all on an Intel Core m3 7Y30 CPU with just 10 PCIe lanes. A vast majority of devices still use USB Type-A connectors. This is just a refresh so Microsoft would want to reserve the major changes for the next generation of devices. Continuing the existing design would also help in reducing overall development costs. We’re gonna be methodical, calculated, and take our time, be patient and make sure we’re bringing the right products to market at the right time but also with great quality and innovation." The new Surface devices are undoubtedly droolworthy but some decisions like these might sway prospective buyers towards other brands. Apparently, Microsoft is not too bothered about it. After all, the Surface lineup exists not just to show off Microsoft's hardware development prowess but also to show other OEMs on how it's done and thereby, boost the overall Windows ecosystem.